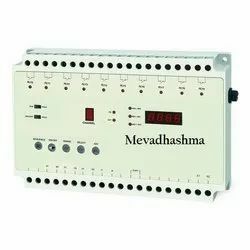 Mevadhashma Manufacturer & Exporter of Pulse Jet Bag Filter System and Spares for Pulse Jet Bag Filter System. We also offer various OEM model dust collector pulse jet dust collector spares and parts of Duct Collector, Bag House Spares for mechanical and electrical items. With a complete knowledge of the relevant industry, we introduce ourselves as the leading manufacturer, exporter and supplier of Bag Filter Cages. The offered bag filter cage is manufactured by using top grade raw material and the highly advanced technology. 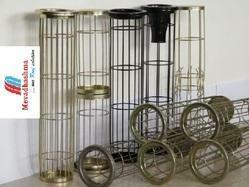 As well, our clients can avail this bag filter cage from us in a set of specifications as per their needs. Our bag filter cage is tested on various parameters so as to ensure its flawlessness. As an esteemed name in the industry, we are engaged in offering a broad collection of Bag Filter Diaphragm Solenoid Valves. This valve is manufactured using top quality raw material and latest technology keeping in mind the set norms of industry. 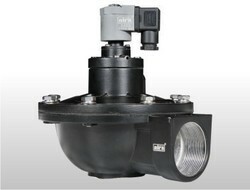 The offered valve is used for regulating airflow in the filters for the process of cleaning. We are giving this valve to our customers in varied specifications at market leading rates. Supported by a team of experienced professionals, we are offering an extensive array of Bag Filter Sequential Timer. The offered product is manufactured by using top grade raw material and the highly advanced technology. As well, our clients can avail this product from us in a set of specifications as per their needs. Our product is tested on various parameters so as to ensure its flawlessness.